Dishonored wasn’t exactly devoid of acting talent, featuring names like Lena Headey, Susan Sarandon, Chloe Grace Moretz, Carrie Fisher and Michael Madsen, and Dishonored 2 is planning to continue this fine tradition. See what else is due this year in our list of upcoming PC games. In an interview with Game Informer, developer Arkane Studios shared part of the sequel’s cast list, revealing actors from both Netflix’s Daredevil and Game of Thrones. Vincent D’Onofrio (Daredevil’s Kingpin) plays the Duke of Serkonos, whileRosario Dawson (Daredevil’s personal, on-call doctor) takes on the role of the Dreadful Wale Captain. From Game of Thrones, Pedro Pascal (Oberyn Martell) portrays the Howler Gang Leader. 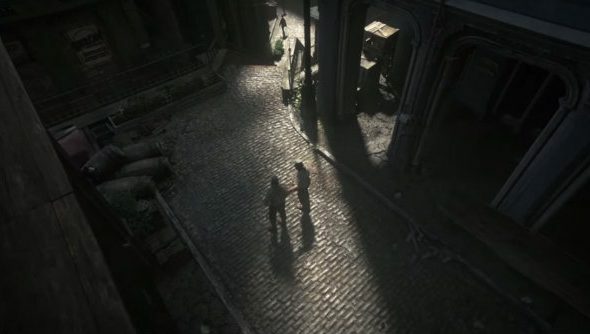 Even the previously silent protagonist Corvo Attano will be voiced – although disappointingly not by Antonio Banderas – with Stephen Russell, known for Fallout 4’s Nick Valentine, stepping into the role. Emily Kaldwin, who is also now a playable protagonist, is also voiced by a Fallout 4 actor, Erica Luttrell. Dishonored 2 is due to release on November 11, with the first gameplay footage landing at Bethesda’s E3 event in June.